“Everyone on this camper is going to die.” The great American road trip becomes a nightmare in The Toybox. 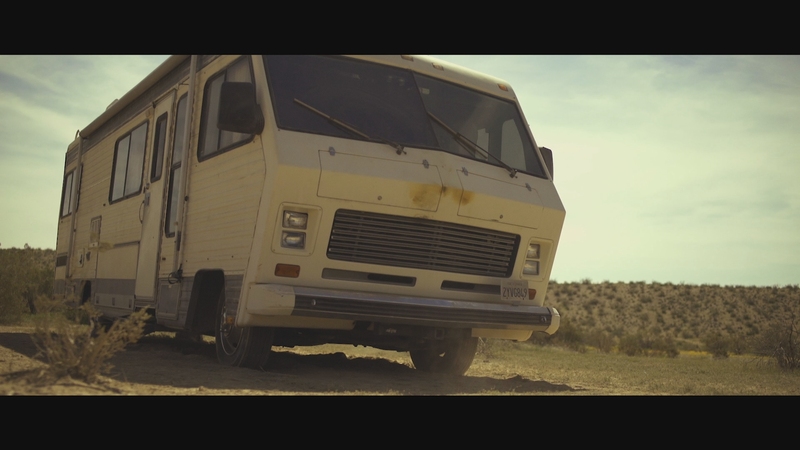 Director Tom Nagel’s movie is a scary, inventive thriller about a haunted RV. The big RV era may be over in America, but that doesn’t matter in this terrifying supernatural thriller. 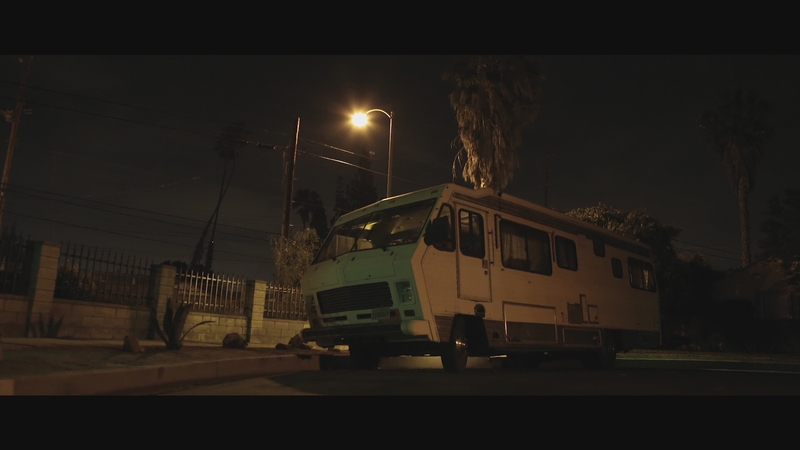 A family bonding trip turns deadly when a possessed RV threatens its passengers, uncovering sinister secrets. The grandfather of an estranged family takes everyone on a road trip in an RV. Little does Charles know the RV he’s bought is haunted with a thirst for murder. 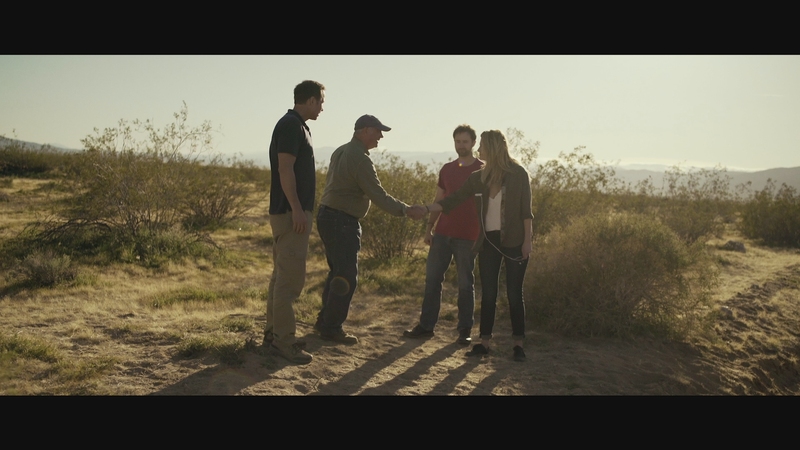 The primary purpose behind the trip is reconnecting with his adult sons, Steve (Jeff Denton) and Jay (Brian Nagel). Along for the trip are Steve’s wife, played by Denise Richards, and their young daughter. Soon into the ride they will come across Samantha (Mischa Barton) and her brother, broken down in the middle of nowhere. Supposedly looking for cave art found far off the road, this group will soon find themselves at the mercy of the murderous RV. Trapped in the desert with no way of contacting civilization, the terror is just beginning for them. Buried family secrets spill out as the situation looks more and more hopeless for everyone. The Toybox takes time building steam. A so-so first act doesn’t hint at the very dark and frenetic action soon to come in the movie’s back half. There’s a moment I can’t spoil that changes how you’ll perceive The Toybox. You keep wondering if the direct-to-video horror will be yet another run-of-the-mill ghost movie. All that changes when a certain character dies. It’s a pivotal, surprising moment that will make horror fans jump. The movie’s characters are down to Earth and their relationships have the ring of truth. The family has problems and they argue like a real family. This is not a horror film where characterizations take a backseat to the special effects. The movie’s tight direction, fine special effects, solid cast and its fairly original concept go a long way in setting The Toybox apart from disposable horror junk. The isolated setting makes for a terrifying scenario executed extremely well. It’s credible, convincing horror that avoids many of the pitfalls commonly seen in today’s wave of supernatural thrillers. Going in with few expectations, The Toybox is a great Halloween treat that took this jaded horror movie junkie by surprise. Skyline Entertainment has done an excellent job on this Blu-ray presentation in 1080P resolution. The 94-minute main feature is encoded in fully transparent AVC on a BD-R. 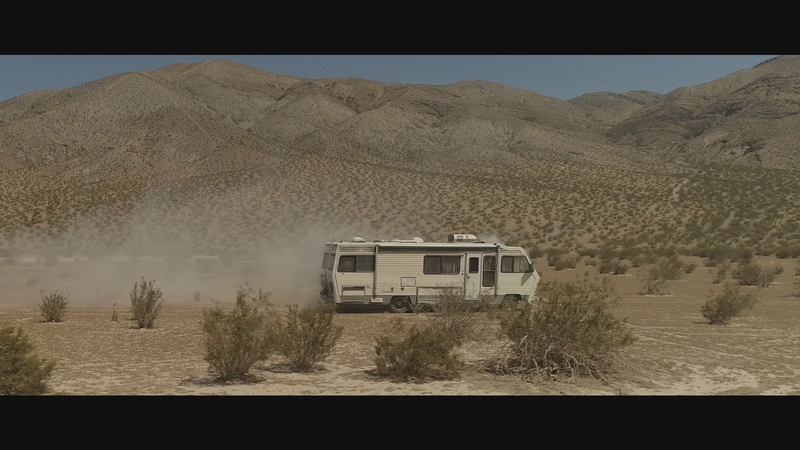 The Toybox has nice picture quality, from the scenic desert setting to interiors inside the killer RV. 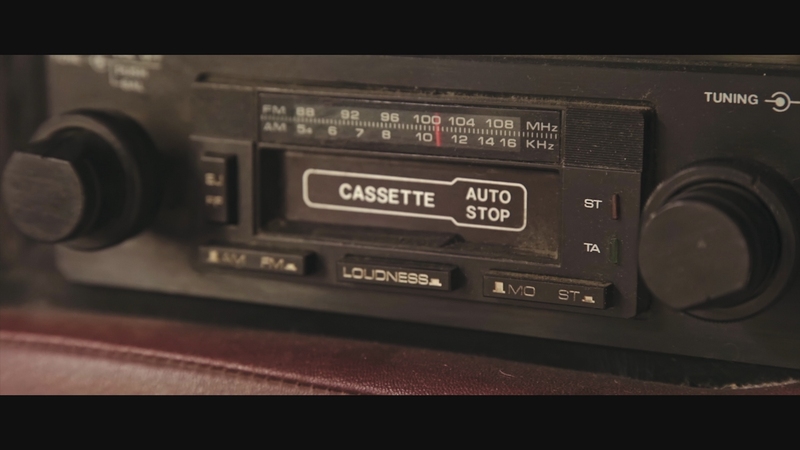 This is good-looking video with top-notch clarity and strong definition. The 2.35:1 scope presentation contains excellent depth and dimensionality. The transfer perfectly captures the innately clean and precise cinematography by Ken Stachnik. Even the few night scenes have revealing detail and fine black levels. The color palette has an even, fresh consistency that fairly saturates primary colors without heating up flesh-tones. Horror movies rarely have pristine video like The Toybox. It certainly doesn’t resemble a low-budget indie movie. The Toybox’s primary 5.1 DTS-HD MA soundtrack offers discrete action and palpable immersion. Its audio design embraces the usual horror movie tropes and clichés in solid fidelity. Bass is present when necessary. Dialogue is intelligibly placed in the mix. The music and audio elements are loudly mastered, compressing the dynamic range. Optional English subtitles play in a white font, inside the widescreen presentation at all times. A secondary 2.0 DTS-HD MA option in stereo is included, which offers less immersion and a smaller soundstage. It should be noted that The Toybox comes on a nicely manufactured BD-R with silk-screened artwork, courtesy of independent distributor Skyline Entertainment. Behind The Scenes Featurette (09:17 in HD) – A compilation of various footage taken on the set and behind the scenes. Bloopers, FX tests and rehearsal footage are included. An interesting featurette with a light touch. Cast & Crew Commentary – A friendly group audio commentary that runs the entire movie with director Tom Nagel, producer Jeff Miller, producer/writer/actor Jeff Denton and producer/actor Brian Nagel. Some amusing anecdotes and background information on the production are discussed by the group. The Toybox is the best haunted RV thriller ever made. That sounds like a joke but the movie is effectively frightening when it counts. The 15 unaltered images below have been taken directly from the actual Blu-ray. For an additional 16 screenshots taken from The Toybox, early access to all screens (plus the 17,000+ already in our library) in full resolution, dozens of exclusive 4K UHD reviews and other goodies, support us on Patreon.